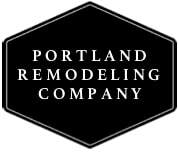 PORTLAND REMODELING COMPANY - Portland Remodeling Company, llc | Residential design solutions | Proven remodeling process 503-201-0667. Free in-home visit. Send me your project request and schedule an appointment today. ​ I look forward to working with you, Vince Meichtry. Contact PRC today for a free consultation of your project. I started remodeling homes with my Dad with Martin & Son's Remodeling in 1975. I worked with my Dad for over 15 years in Beverly Hills, Santa Monica and the Hollywood Hills, remodeling is in my blood. You will be pleased with the care and attention to detail you will experience when ﻿﻿remodeling﻿﻿ your home with Portland Remodeling Company. I take pride in delivering quality workmanship, clear communication, exceptional service and beautiful design. I am confident that Portland Remodeling Company will provide you with beautiful designs and quality craftsmanship. It starts with an exclusive consultation with Vince Meichtry owner of Portland Remodeling Company. Vince started remodeling homes in 1975 with his father learning the value of hard work, client relations, quality craftsmanship and the motto of doing things right. Portland Remodeling Company uses the deconstruction vs. demolition process. We re-purpose doors, trim, cabinets, sinks, hardware, lights, hooks, towel bars by donating material to the reclaim stores so others can re-purpose your items. We make sure your project will be kind to the earth and last a very long time.